‘A trilogy of Palm Springs, Rio and Kyoto’ – that is what Nicolas Ghesquiére said about the collection shortly after the show. The mix of traditional silhouettes and the modern interpretation of the heritage of the brand create beautiful designs. 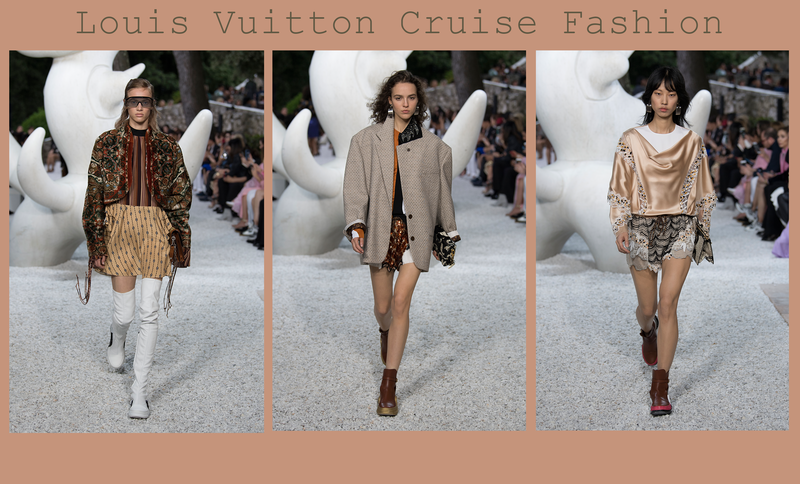 Some of the influences were martial arts, nature and an urban flair – and just like Japan, which was one of the main sources of inspiration, LV was able to protect their heritage while leading in design and creation. 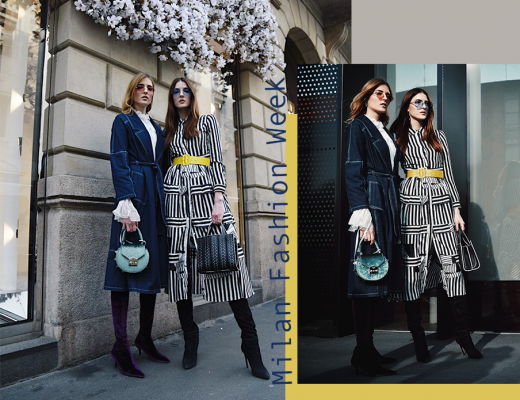 One of the many highlights of this collection is a blazer jacket in earthy tones, worn with a skirt and over-knee boots; this outfits creates the perfect balance of traditional elements through garments or colours in combination with modern pieces in unexpected shades and forms. Inspired by the Escaramuza riders or Mexico, and the women that took it upon themselves to make the all-male sports a female tradition in bright colours and big skirts, Maria Grazia Chiuri combined silhouettes of the 1950s with the vibrancy of the Mexican riders. The key elements include strong X-Silhouettes created by wide belts, high-waisted skirts and the mix of formal wear and flowing dresses. 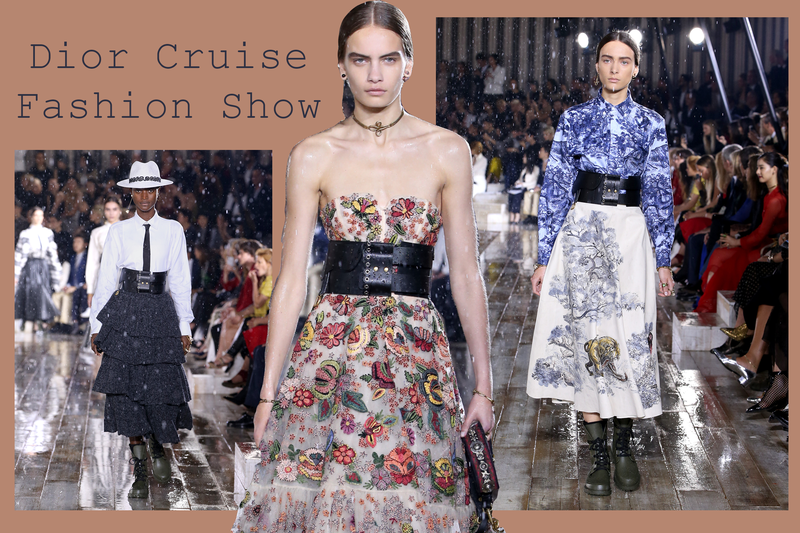 ‘Feminine and yet strong’ is how the collection can be described in short – which is everything that Dior embodies. Some key pieces in crude a slightly transparent dress with a traditional Mexican print, worn with a thick heavy leather belt and boots, as well as pattern mixed outfits of blouse and skirt. This season’s Gucci Cruise Fashion Show took place in an unexpected and yet spectacular setting: the Alyscamps burial grounds outside of the city. 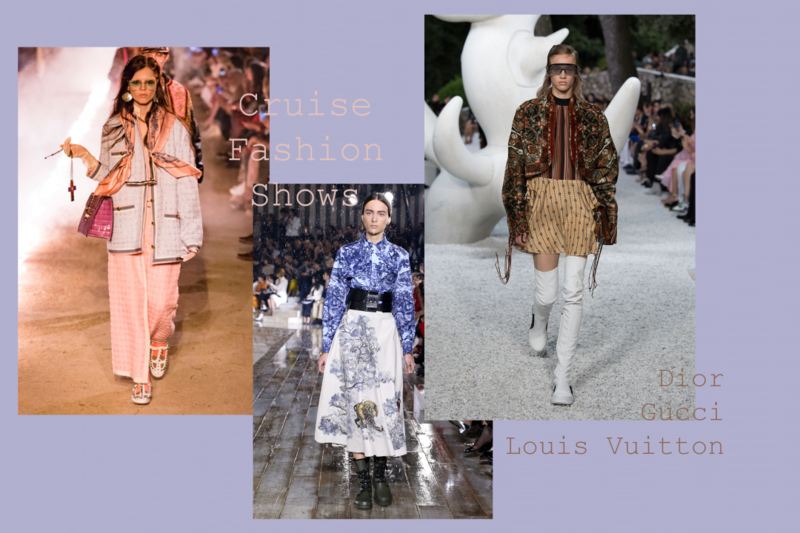 Alessandro Michele is a conquerer himself – of fashion in the digital age, facing challenges of social trends every day – and fascinated by death a potential afterlife, just like the Roman emperors that called the setting of the show their grounds. 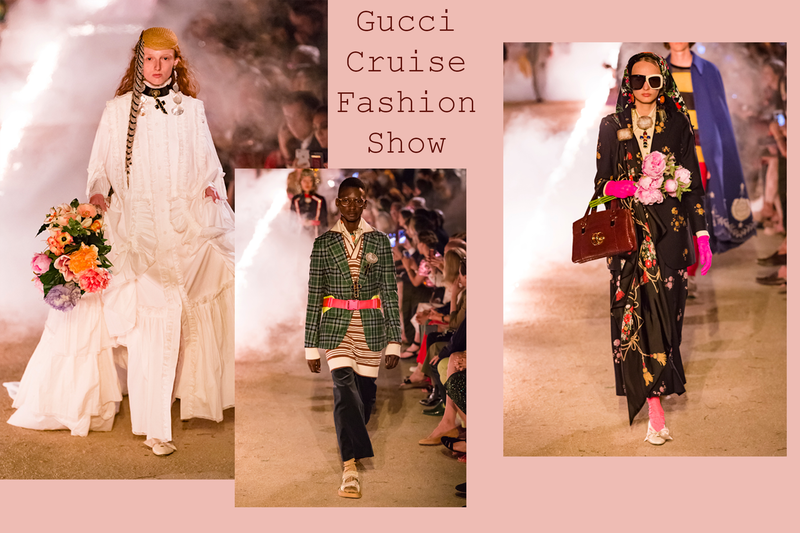 The collection included white gowns with embroidered skeletons, ‘memento mori’ printed on leggings, 70’s inspired suits and tweeds – and is offering an inventory of Gucci key pieces for both men and women, pushing their stance for gender neutrality in the luxury segment. Some of the key pieces include the before mentioned white gown, as well as belted tweed blazers in combination with differently patterned shirts and flared trousers.